As you’re going to learn, sometimes the more specific keywords are actually better. It actually sends you a better quality customer. Such keywords are easier to rank because there’s less competition and that’s one reason we call them money keywords or buyer keywords. Studies show that only 30% of all searches are the popular phrases. Those are phrases like weight loss, golf dogs, cats, pets, weddings, cameras, those types of keywords that we would consider category keywords that kind of encompass an entire group or topic. Also, they actually only get less than 30 percent of all searches. That means 70+ percent of the remaining searches are for those long tail, more buyer friendly keywords, meaning keywords that people really are interested in, people that are really going to want what you have to offer them. Phrases like, golfer, weight loss: those are the more popular phrases. Industry keywords, more specific keywords, the more qualified traffic — keep that in mind and stick with it. More specific keywords lead to more qualified traffic. That would involve long-tail keywords; these are keyword phrases longer than three or more individual words. That would be one of the definitions of a long tail keyword phrase: three or more keywords. So instead of just golf, a phrase like improve your golf swing or cure golf slice. That would be more of a long tail quality keyword. If somebody is searching for cure golf slice than they actually are trying to solve a specific problem. Whereas if they were searching for golf, they could be looking for everything from golf courses to golf clubs, to golf carts, to getting and setting up a tee time at a local golf course; you get the idea. Such searchers could be looking for any multitude of things, even golf shirts or golf shoes, something more specific. These keywords are better because you get a better quality of visitor. If you got 10,000 people searching for golf to land on your site, then yes, some of them may actually translate into dollars for you because of the sheer volume of them; but in all actuality, you’re going to be better off if you get 500 people searching for cure golf slice as opposed to 10,000 more generic searches for golf. If you had 500 people land on your site for the phrase cure golf slice and you offer them a training course and an affiliate link to another product, maybe an opt-in video course that you had on curing golf slice, you’re gonna find that you’re going to get much better return on those visitors than anyone who just came through for the phrase golf. Here are some simple strategies for finding keywords that are effective that you can use. The first thing is to look at your current data. Use Google Analytics or look at your website logs. Many web hosting companies offer products like Web Advisor or AWS stats that you’ll find in the backend of your hosting provider, like AceHosts or Arvixe. If you are a local business, and if you have a local company hosting your website, you could ask them to review your website logs. 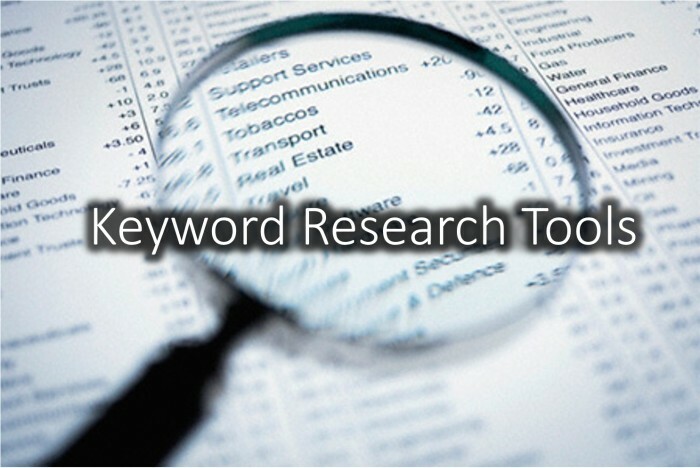 Ask them what kind of keywords people are using to find your site in Google. If they can’t do this, note that we also provide this type of analytic service for an affordable fee. Analytics [Google, Piwik, Kissmetrics] is a great tool for doing this kind of research and analysis. It gives you a really good insight into those keywords for which people are searching. They show exactly what keywords people have entered to find your website, and to land on your website, and what they do while there. This is how you could better optimize your site, because sometimes it happens happens that you could really find there are keywords which people are using to find you. It may be that you haven’t done a great job of optimizing for some of those phrases; in fact, you may not have even considered those phrases. In coming articles, we’ll address several topics in keyword research and analysis, such as metrics for keyword effectiveness, webmaster tools, and software for finding quality long-tail keywords.